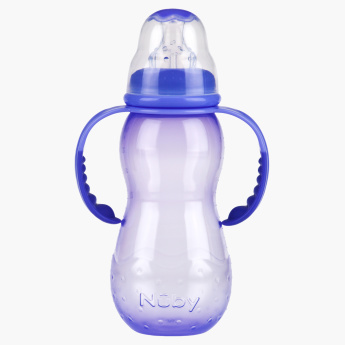 Nuby Feeding Bottle with Handle - 320 ml | Blue | Anti-colic bottles to prevent baby from gas and colic. Perfect to feed your little one while travelling, this anti-colic bottle helps prevent your baby from gas and colic. It has a variable flow and is specially designed with a non-grip system.